Kenneth Woods here completes his traversal of the Hans Gál symphonies with a recording of the First. It’s not an early work; Gál was already in his late 30s and at the height of his powers when he completed it. The mastery of the form, evident in his later works, is already clear here. And, although lessons have clearly been learned from august predecessors, particularly Schumann and Brahms, the unique configuration of all those traditions ensures Gál a distinctive voice. 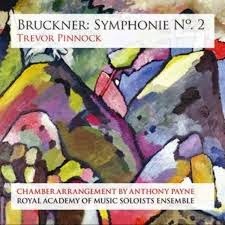 In fact, there is an impressive continuity of style from this work of the 1920s right up to the Fourth Symphony, written almost half a decade later. This First Symphony is not as consciously polyphonic as the Third or Fourth, but its textures are just as finely wrought. Like those later works, there is a certain terseness to Gál’s symphonic writing here – it’s full of invention and all those ideas are packed in tight. But the more homophonic textures mean that the results feel less congested. The early date of this work means that the anachronism of its style is less of a concern, for the listener at least – it apparently it was never so for the composer himself. The performance is excellent, and fully up to the standards that Woods and his orchestra have set in their previous releases in the cycle. As in the later symphonies, the woodwind principals predominate in much of the music, and all give fine performances. So too does the solo violinist and first horn, also regular soloists. For reasons that remain unclear, the Avie label began recording Gál’s symphonies with Thomas Zehetmair and the Northern Sinfonia and then switched to Kenneth Woods and the Orchestra of the Swan. With this First Symphony, Woods has now covered all the works that Zehetmair previously recorded. This new version is a clear improvement on the first in a number of respects. The sound quality is far superior, with much greater detail and clarity. The Zehetmair version is more bass-heavy and lacks detail in the mid-range. Interpretation wise, the tempos are almost exactly the same (I’m guessing the score contains detailed tempo indications) although Woods takes almost a minute longer in the Elegie. Most significantly, the strings of the Orchestra of the Swan outplay their Northern Sinfonia counterparts, their tuning is better and their tone more even and polished. As a coupling, we are offered Schumann’s “Spring” Symphony. Woods gives a sprightly but detailed reading, the sound warm and rich, but never to the point of weighing down the music. The strings again excel, especially considering the demands this work places on them. On a spectrum stretching from the opulent recordings of yesteryear to the drier period performance versions of today, this recording sits somewhere in the middle but leans significantly toward the former. That said, the clarity of the textures here is never compromised by the warmth of tone, which is especially evident in the strings. 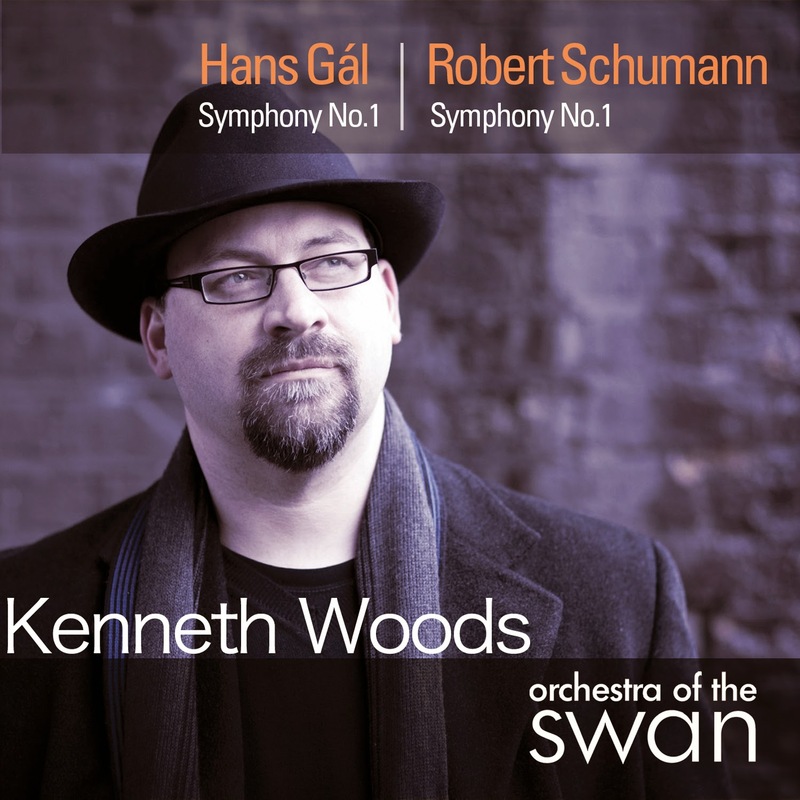 Another fine recording, then, from Kenneth Woods and the Orchestra of the Swan. Documentation is excellent, with Woods, as is his custom, providing detailed notes on both works. Recommended for the Gál of course, but recommended for the Schumann too, which gets a competitive reading here in the face of considerable competition. 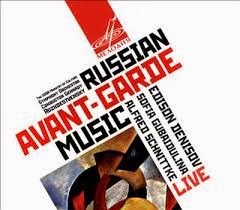 This recording documents a unique event in the history of the Russian avant-garde, the only time during the Soviet era that the music of Denisov, Gubaidulina, and Schnittke was programmed in the same orchestral concert. From a Western perspective, it might seem strange that this only happened once. These were, after all, the three figureheads of modernist music in the Soviet Union, or at least that was how they were promoted from the mid-1980s. In fact, their reputations at home and abroad were very different. Russian performers had brought the music of the three composers to the West, and Western publishers, particularly Sikorski, were making great efforts to promote them. Yet all three remained under various levels of state censure at home, making performances extremely problematic. The prime mover here was Gennady Rozhdestvensky, who already had many decades of experience in finding ways to untangle the bureaucracy in order to present Russian audiences with the “unofficial” music of their times. As is clear from the rapturous applause that follows each work, there was clearly a growing appetite for what these three composers where doing. Rozhdestvensky’s program cleverly spotlights the three aspects of composers’ music that were the most politically contentious and therefore the least represented by officially endorsed musical activities: Modernism, religion, and satire. Denisov’s Peinture is in a post-Webern idiom, but is painted in broader, more Impressionist strokes. It has the structural rigor of a Webern score, but avoids his terseness. A flute solo opens the work, and the woodwind soloists are prominent throughout. Gubaidulina’s Offertorium is the best-known work on the program. Gidon Kremer’s premiere in Vienna in 1981 marked the composer’s breakthrough in the West. Kremer, however, is far from the only violinist to have performed it, and this recording, made the following year, features Oleg Kagan giving a similarly impressive reading. Schnittke’s The Census List (a.k.a. Gogol Suite) is an arrangement by Rozhdestvensky of music the composer wrote for a staging at the Moscow Taganka Theater. This is polystylism at its most confrontational, all marches and popular songs mixed in and juxtaposed with allusions to Baroque music, and some Beethoven quotes for good measure. The program on the disc ends with the piece that started the concert, a march, apparently the work of all three composers. It is a very slight and occasional piece, 41 seconds of oom-pah music. It is hard to see how there is space here for three contributors. More frustratingly, the point of the joke is far from clear. Historical significance aside, this disc is recommendable for its considerable artistic merits. The USSR Ministry of Culture Symphony Orchestra goes under the name Russian State Symphony Orchestra these days, and while it still sounds Russian, it has lost some of the focus and bite we hear on this recording. The players are able to lighten their touch for the Denisov, but it is still more definite and deliberate than the BIS version from the BBC Welsh and Tadaki Otaka (BIS-CD-665). Similarly in Offertorium, the mystical and spiritual dimensions of the music are somewhat compromised by the literal approach of the orchestral players. That is a particular problem in the many passages where the music seems to evaporate in disappearing glissandos or chromatic runs. Oleg Kagan is a more muscular soloist than Kremer (whose recording with Charles Dutoit and the Boston Symphony remains the benchmark, now on DG 0289 471 6252 0). The Census List also appears on a Chandos disc with Valery Polyansky and the same orchestra (9885) and on a BIS recording with Lev Markiz and the Malmö Symphony Orchestra (BIS-CD-557). Rozhdestvensky’s version seems more biting in its satire. The juxtapositions are more angular, and the insertions of popular music seem all the more brazen. It’s a more confrontational experience, and as a result a less comfortable one. The sound quality is excellent, especially given the date and country of origin. It has clearly been subject to some invasive cleaning up (remastering is credited to M. Pilipov). There is a certain rawness to the sound, a bare, exposed quality suggesting the absence of higher partials. But whatever has been done, the results are convincing and very listenable. The Constructivist cover art is a nice touch, and we get full track listings, but there isn’t much else to commend about the packaging. Don’t be put off by the fact that the listing for Offertorium is followed by “(one-part),” it means the concerto is in a single movement, not that we are only hearing an excerpt. The liner note is poorly translated and frustratingly short; that curiously inscrutable opening march, for example, is described only as one of the program’s “savoury moments.” Otherwise, highly recommended, particularly for Offertorium, which doesn’t surpass Kremer’s reading, but acts instead as a revealing complement. This review appears in Fanfare Magazine issue 38:1.